Those that know me, know I’m notorious for never, never, never attending local cycling events. I may be extremely active in the social media, but I’m not so active in actual socializing. Those who know me and want to see me at local cycling events try to shame me into attending. It doesn’t work. However, DCCX is actually within DC thereby accessible by bike. It’s close enough and big enough that I was able to shame myself this year. Luckily (and of course), I had a s*** ton of fun. 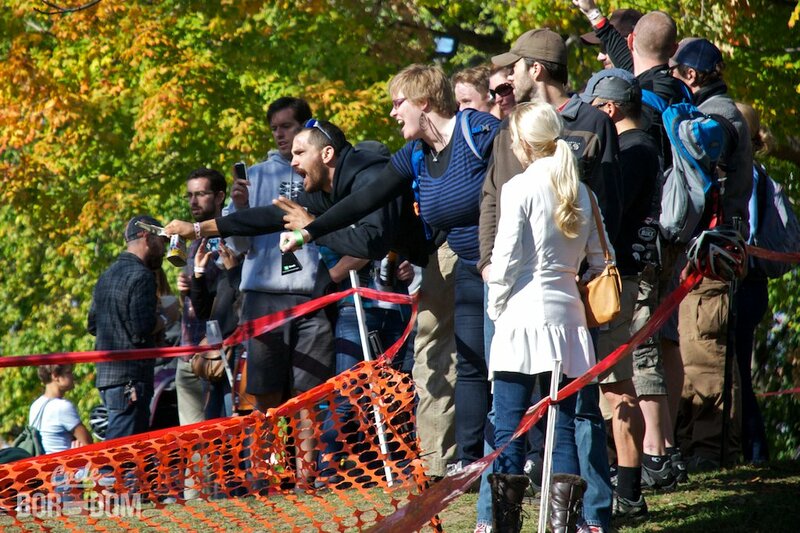 These have already been posted on Flickr, Facebook, and Instagram but I wanted to post a few I feel represent the atmosphere of the day and CX racing in general. Warning: the following images may contain an inordinate amount of facial hair and beer. 1) Mariachis: These guys were trotted out onto the course just before the 1/2/3 race. They added some extra spice to the day as a whole. At first they were slightly bewildered, but once they started playing and the beer soaked CX crowd chimed in they really lit into some songs. 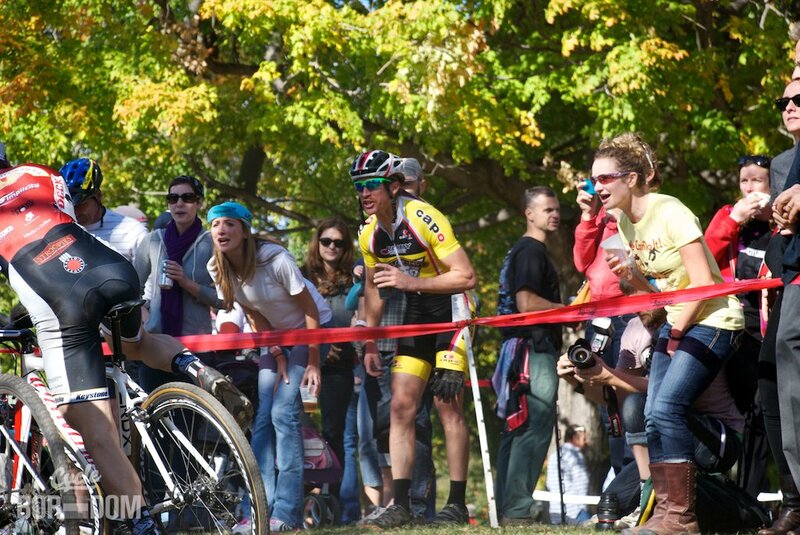 It should be noted that Mariachis are not necessarily present at every CX race. 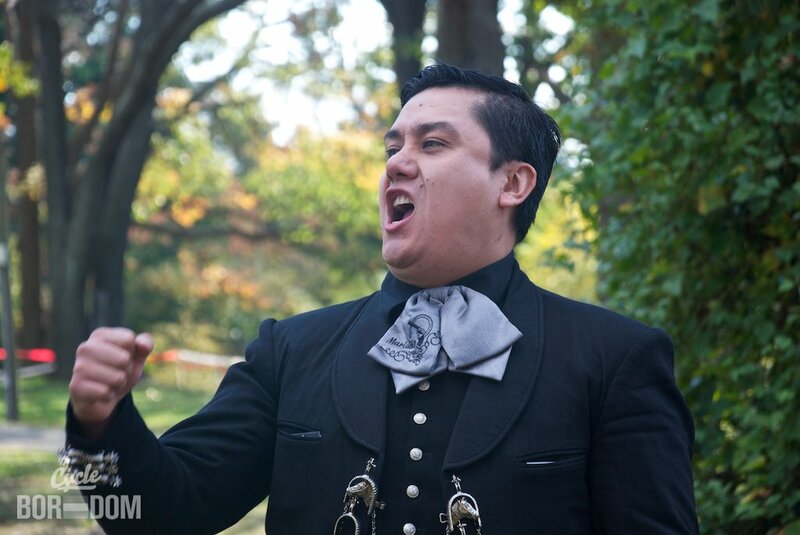 It also should be noted that Mariachis should be present at every CX race. 2) Shadows: The late afternoon fall light made for some fantastic shadow pr0n. And when one has the chance to shoot pr0n, one does. Ahh yeah, that’s nice. 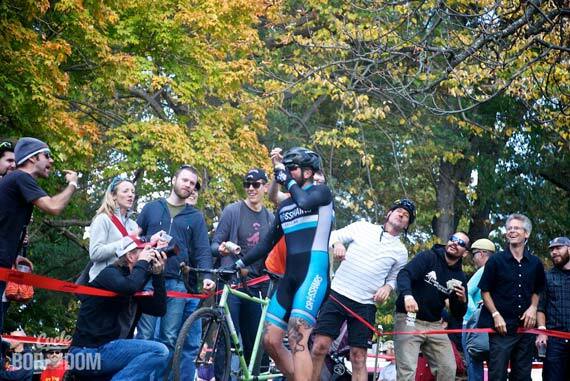 3) Richard Fries: Yep, the voice of racing added his to the slurred cacophony of the DCCX masses. 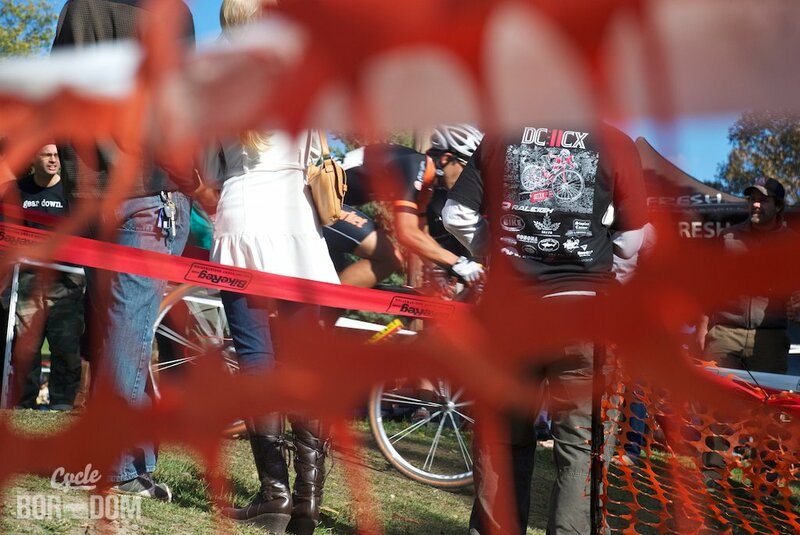 Richard was there unofficially, just enjoying some local CX. Stoked I got a chance to talk with him for a bit. 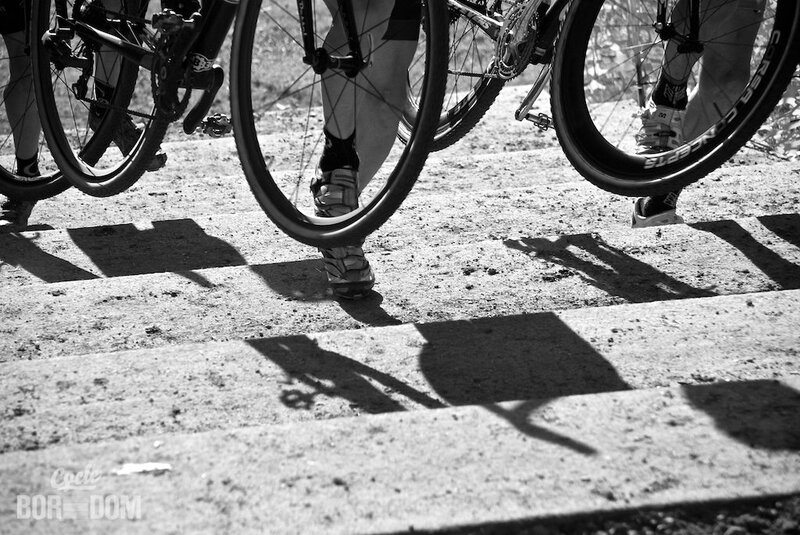 4) Stairs: For me, the Raleigh Runup was by far the premium spot to camp and shoot. 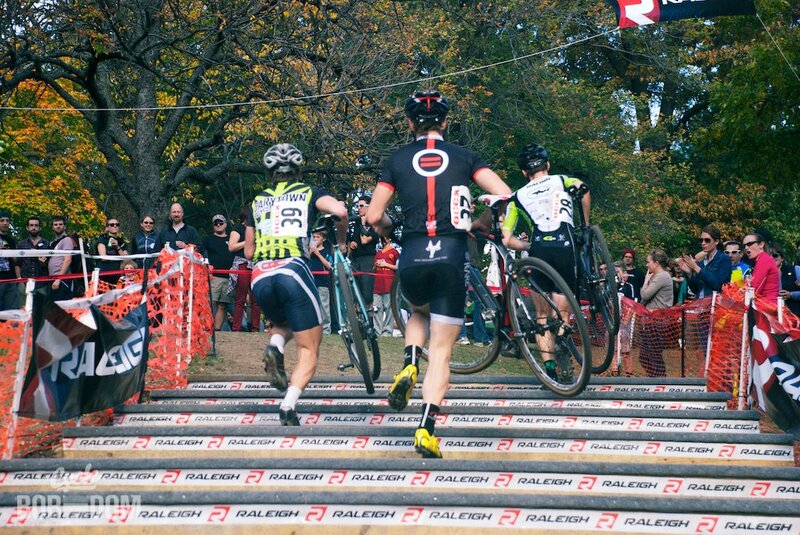 If you don’t know about the significance of stairs in CX races then you should try this experiment: Sprint for a hundred yards. Jump off your bike at speed. Force your wobbly legs to propel you up a dirty/muddy set of stairs whilst holding your bike in front of you. Jump back on. Repeat. NBD. 5) Enthusiastic Participation: Watching a road crit is akin to music playing in the background. 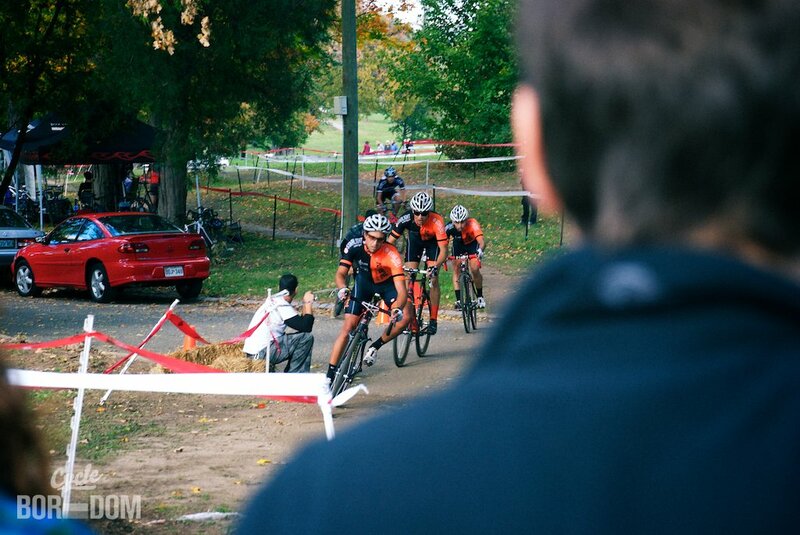 However, one does not simply “watch” a CX race—you participate. Those pictured above are exhibiting the proper participation technique. 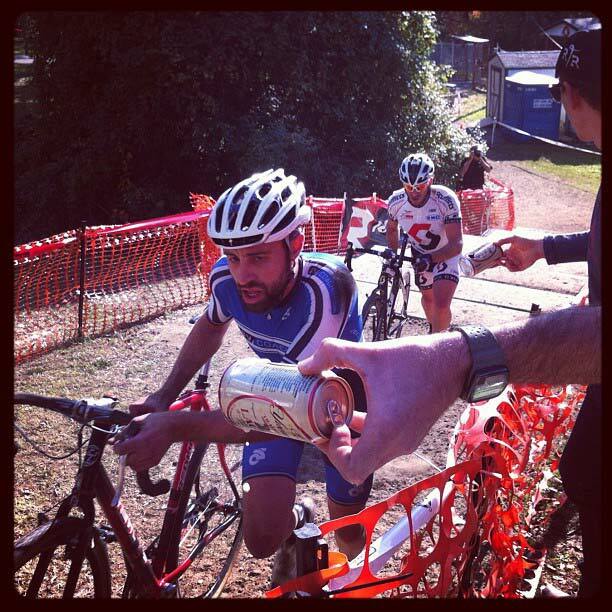 6) Handups: Dollar bills, cupcakes, tacos y burritos, and especially beer are threads weaving the rich tapestry that is the tradition of giving s*** to people racing they normally would not ingest while going hypoxic in Zone 5—otherwise known as the handup. 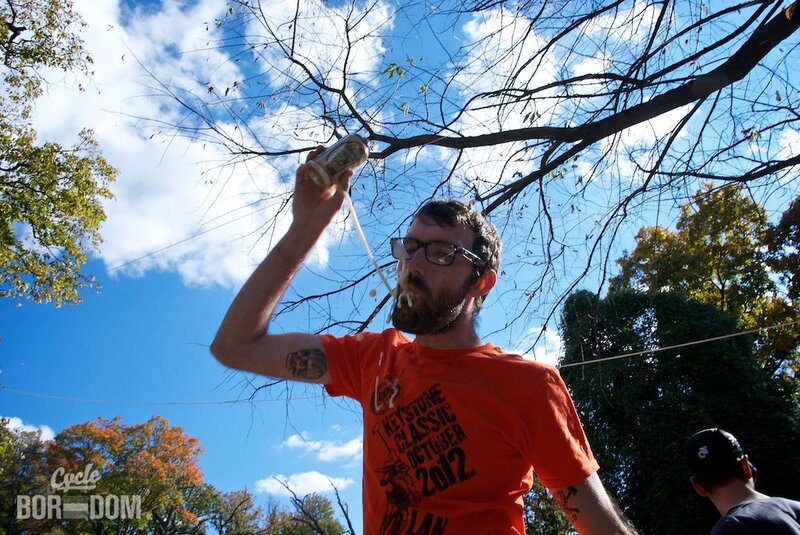 The beer shotgun shown here is an alternate version of the beer in a cup handup. 7) Spectator Sport of the Future: The most raucous cheers of the race weren’t for the leaders. No, they were reserved for those successfully downing a beer handup. Note the UCI official (striped shirt) assuring proper technique. The rider pictured was selected for a post-race control, not for anti-doping but to make sure he had a verifiable blood alcohol content. No cheating with cans filled with water or SkratchLabz. 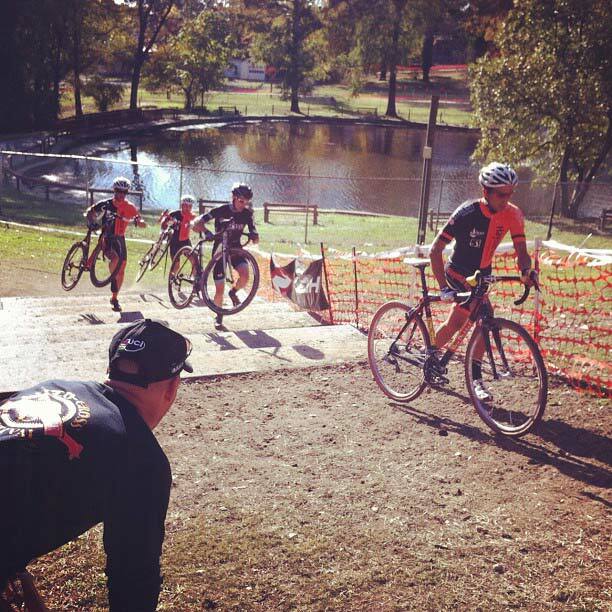 8) Multiple Vantage Points: Many times a CX course is laid out in a small area forcing the course to wind in and out of itself. Both a feature and a benefit it makes the CX course challenging for those racing, whilst allowing the viewers multiple chances to heckle the riders. Yes, whilst. 9) BEER: IT. IS. CROSS. Whether sucking down the Belgian Budweiser Jupiler in Ruddervoorde, or crushing Dogfish Head Raisons here in DC, it’s the frosty libation, preferably with a high APV, that binds us all. It’s the symbiosis between rider and spectator. But if that suuuuuper serious Cat 4 or the serious ‘cuz they actual fast Cat 1 racer ignores your delicious handup, kill that s*** yo damn self! 10) Cowbell: Also indicative of CX. Also, always MOAR COWBELL!! Yes, that’s @BloomingCyclist there in the blue #decibeldoping. 11) Crazy Assed S***: Racers and fans alike cut loose at the venue. High socks, tutus, and various costumes are not out of place both on the course and behind the tape. This is amplified because of #9. 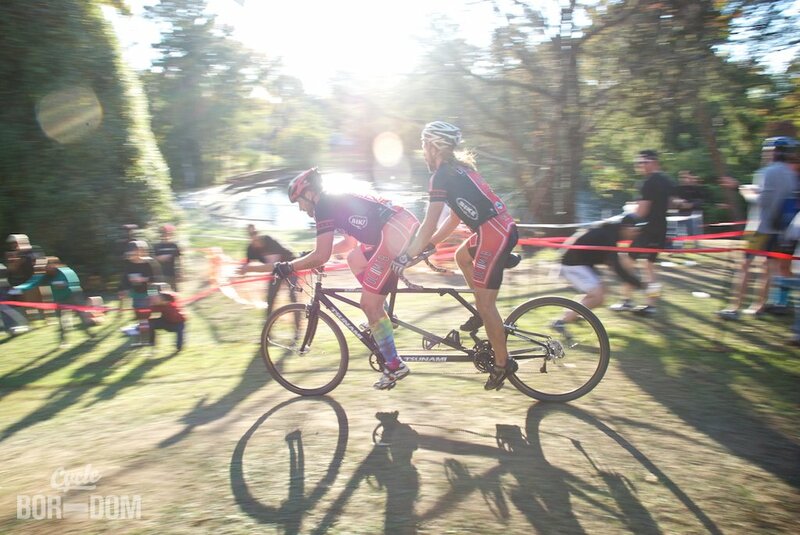 Put everything mentioned above on a tandem and you got yerself a fine race indeed. Bonus: Also, Racing: Apparently, some are here to battle in the traditional manner for the honor of first across the line. Somewhere, someone’s already crossed the line of excess alcohol consumption—in the same race. Jokes aside, the Haymarket trio crushed the field going 1-2-3 in the 1/2/3 race.